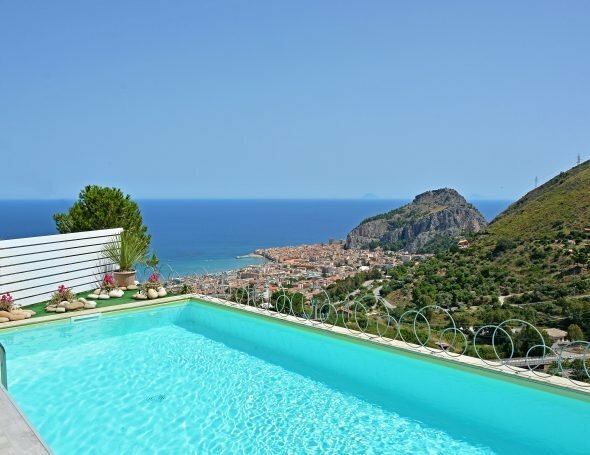 Villa Splendida explores the region’s beaches, enjoy the buzz and beauty of historical Cefalu or relax and soak up the views of the peaceful hillside setting at Villa Splendida. Designed in a contemporary style with an emphasis on open plan, light, airy space, the interiors of Villa Splendida feel light and airy. In the main villa, there is a large living and dining area with three comfortable double bedrooms and three shower rooms all the interior space furnished in an attractive, contemporary style with neutral tones, light wooden and rattan furniture, pretty cushions and sea blue fabrics. For larger groups, there is a guest annexe with a further double bedroom and sofa bed. The living area opens out onto a wide decked terrace with a pool and sun loungers. An outside kitchen with built-in barbecue and covered dining area provides an excellent opportunity for summer dining. A lawned area and mature olive and pine trees offer further areas to relax and soak in the views. Beyond the villa, there are beaches and local villages to explore. From the gate of the villa, paths are leading to pleasant walks through the Madonie National Park, an area of outstanding natural beauty. Main Villa: Open plan living room with kitchen and dining area opening to terrace, three double bedrooms, two shower rooms. Annexe: open-plan room with kitchenette and single sofa bed, one double bedroom, and one shower room. Thank you so much. We have thoroughly enjoyed our week at villa splendida, our first visit in Sicily. Such a dramatic landscape and yet so peaceful. … We have travelled widely and this is the advantage of this location Cefalu since it is possible to reach the south coast and back in one day and on many different routes. Well done Massimo Villas . We are having an amazing time and absolutely love the villa and the surrounding countryside. We will definitely be coming back to Sicily so I will make sure I get in contact with you when we look next time. We stayed at Villa Splendida 13 – 20 June 2015. I cannot think of anywhere better to spend a lazy week. 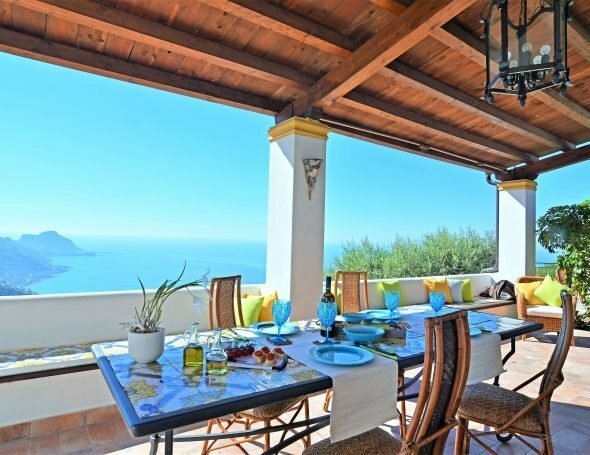 The villa was excellent in every way with a fantastic view of the sea and Cefalu. Massimo, Stefano and all staff were friendly and highly efficient. We will undoubtedly use their villa service again. Everything you could wish for - really highly recommended. We also had a private chef One evening, also a great experience. We just want to go back! The Villa was lovely, very clean and with everything you'd need for a stay there. The view is fantastic. It's a little tricky to get to and without our guide we never would have found it! You definitely need a car! Cefalu was nice but be careful if getting a taxi down there and check price before booking, think we were ripped off! Overall a lovely villa and a relaxing holiday. What a beautifull place to spend our vacation! And so kind to find wine, fruit and water when we arrived. Very very very nice swimmingpool, comfortable house, nice terrace with barbecue and outdoor kitchen and stunning view! We didn't see much of Sicilië, because we loved staying at the villa. So maybe next year again? And especially many thanks to Angelo for helping us find the way to the villa and his kindness! Visit Cefalu Paradiso from Julian McDonnell on Vimeo.